Our first Footed mug came off the line in 1996 and has remained a customer favorite ever since. In fact, the Footed mug is our second most popular handmade pottery mug style. Like the Round Belly, it has a nice sturdy bottom with a tapered top. These features allow your beverages of choice to retain their heat, while also making it a very satisfying mug to hold. Our park partners at Bryce Canyon instantly loved the color of this mug, as it matches the crystal blue skies in southern Utah. 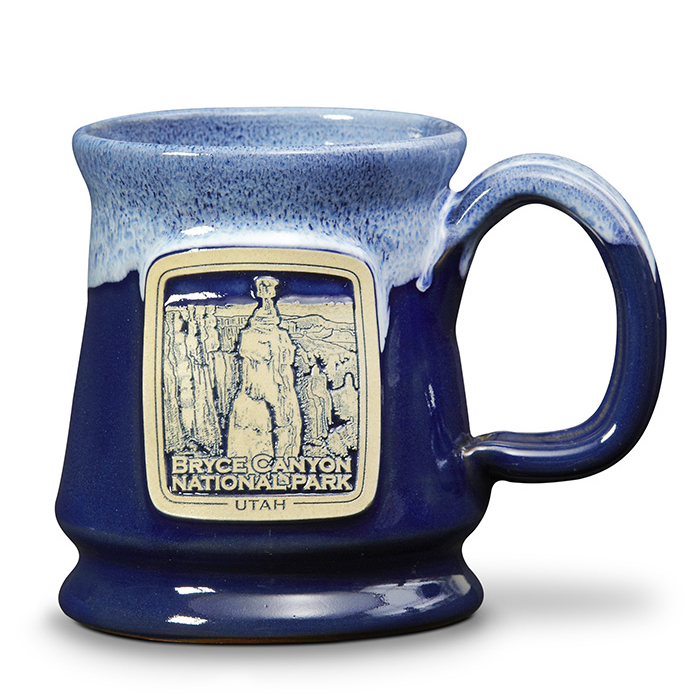 Glaze: Navy w/Powder Blue White Industry: National Park (We work with many different industries) Capacity: 12 oz.